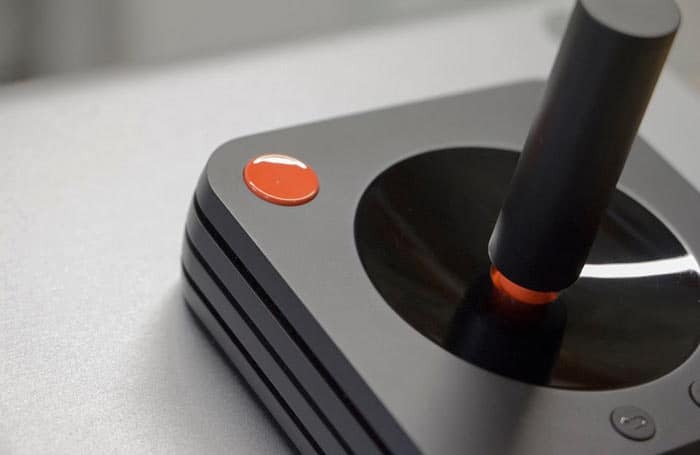 Bringing back nostalgia from the 70s and 80s, the AtariBox is going to make joysticks the primary controller for their upcoming AtariBox. It is being rumored that it will be a rehash of the original console and may also play new games. A bunch of new pictures are released online by the development team which shows the joystick in multiple angles and it looks very much like a current generation controller but is very unique compared to the closely similar controllers used in PS4, Xbox One and the Nintendo Switch. The design is a strong ode to the original 2600 controller and the new console looks pretty much the same as it has a wood veneer finish with a simple black and red color choices. The new console will run on a version of Linux which has been tweaked to work with televisions and the joystick will also be optimized to support most games that get released on the platform. The Ataribox is expected to be priced at $250 to $300 on launch date but the type of games which will be made available on the system will determine if it can compete strongly against the three other current generation systems already available in the market.